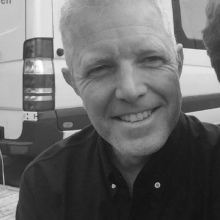 Simon has worked in the production industry for over twenty four years, and brings with him a wealth of talent and experience. He has excelled in a multitude of events and projects for clients all across the business spectrum: from real estate to finance, pharma to automotive,retail to public sector. Simon is also an accomplished musician, a professional who understands performance from both sides of the stage, knowing how to positively engage with even the most challenging audience. During his career, Simon has produced, project managed and directed an array of diverse events, from large scale, large budget business conferences, to awards ceremonies, road-shows, product launches and not to mention, exhibitions and large scale corporate parties. Simon takes a hands-on approach to every client brief, ensuring the appropriate team is handpicked for each and every project, as well applying his own experience along the way. He loves a challenge, and the opportunity to push clients’ perceptions. Simon re-discovered his love of golf, frustrating though it is, and goes running three times a week, so the office provides a ‘safe haven’ from all this activity! Andi is a relatively newcomer to the Simon Prickett & Associates team, and is currently taking on the role of Director within the business, helping to establish new client streams, but also working alongside Simon and the production team as and when needed. She also provides an extremely efficient back office support role whilst the team are onsite. Her previous roles, with various Property Management companies, have enabled Andi to understand the need for consistent and excellent client service. With such distinguished core values,Simon Prickett & Associates are regarded as an agency, offering a very personal touch and bespoke service across their client portfolio. Andi relishes the challenge of working within a very competitive marketplace, and she strives to bring her experience to the party, ensuring Simon Prickett & Associates Events becomes a force to be reckoned with! Vickie Gowar is an experienced Event Director, honing her expertise in the Events Industry over the past 15 Years. She began her career in music and sports sponsorship, before applying PR, social investment and communications experience to corporate event management.Vickie has had long spells with Burson-Marsteller, and working in the Barbican centre as Head of Events. 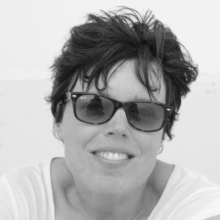 In 2001,Vickie founded the agency, 2e events, specialising in event and project management, and works side-by-side with Simon Prickett & Associates on all their projects globally. She continually provides fantastic resources, taking care of all delegate management,registration and planning strategies as well as complex venue contract negotiations. Vickie has big ideas, which in turn achieve substantial results. She is creative in her approach to all events, with a keen eye for detail.The quality of the work and service to the client remains her absolute focus and priority – with a complimentary helping of laughter included. Her love of show tunes sneaks in from time to time as well ! Vanessa is passionate about brand, and all things creative. 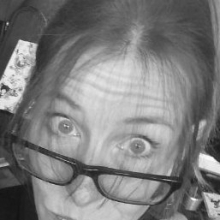 She will work with our production team and clients to really flesh out design concepts across print and web.Vanessa has been responsible for many high profile Simon Prickett & Associates design projects over the years, and will stretch ideas as hard as possible to produce eye-catching results. Working with InDesign,Photoshop and Illustrator, Vanessa has a remarkable knowledge of what can and can’t be done. Her love of music is also conspicuous. As part of the Ukelele Orchestra, Vanessa can often be seen- and heard- serenading elderly folk in their care homes. Spike initially trained in design, at Middlesex University, before studying for a Master’s degree at London’s Central School of Art and Design. He has designed exhibitions and live events alongside notables such as Ron Herron. An eight-year spell at Event Communications, Europe’s leading museum and exhibition consultancy, propelled him to lead designer on projects such as the Earthquake Gallery at the Science Museum, the Alfred Dunhill Centenary Exhibition, The Al Fahadi Museum in Dubai, The Dundee Discovery Centre and the Titanic Exhibition at the National Maritime Museum. 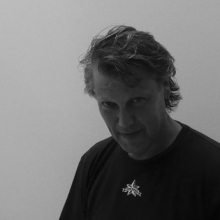 In essence Spike has over thirty years experience covering live events, exhibitions, installations, interiors and related activities for both UK and global audiences, and a long list of high profile blue chips . He brings to the Simon Prickett & Associates table a full complement of design skills, from initial sketches to CAD drawings, through to ‘bang on’ realistic computer renders. When time allows, Spike is a keen photographer, hiker, fly fisherman, classic motorcycle restorer, and all round sportsman. He has competed in The London Marathon, The Three Peaks Challenge, The London to Paris Cycle Ride and The Motogiro d’Italia. Darren provides Simon Prickett & Associates with all the technical knowhow and ammunition required to deliver a top class event. Supporting Simon and other producers, Darren evaluates each project and handles- very meticulously- Health and Safety, scheduling, crewing and technical specifications for a wide range of Simon Prickett & Associates’s live events and video productions globally. Darren is very popular amongst our chosen tech crew, always achieving the best from everyone,whilst looking out for their welfare. He can manage multiple projects simultaneously, working alongside and supporting our team of in-house and freelance creative producers. Darren is also an accomplished film maker and dabbles from time to time in film projects as an Assistant Director. His love of flying has enabled him to sometimes travel to work in his own single engined plane, though we are still waiting an offer of a flight! Patrick is our No.1 onscreen graphics and Video guru. 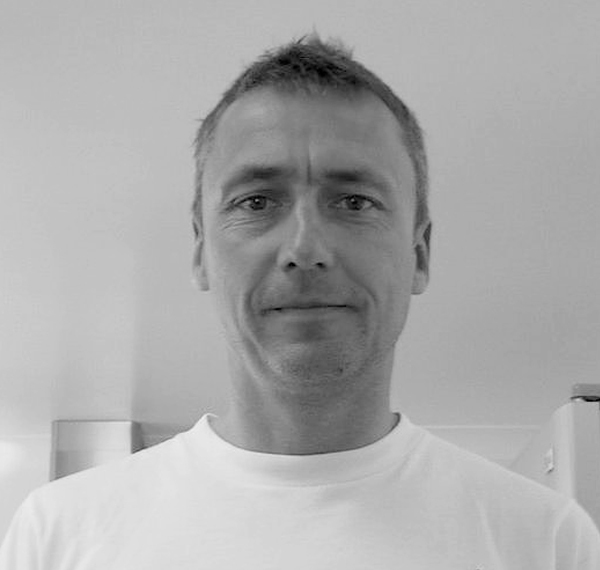 He has been working with Simon Prickett & Associates, on various projects, for over 10 years. He has an incredible creative ability to turn a brief into something magical for screen, utilising his intense knowledge and understanding of all the graphics packages to hand, through 2d and 3d.Never buckling under pressure, Patrick has the ability to manipulate even the most complex of graphics requirements under the tightest of time constraints. Patrick is also fully versed with all of todays video and projection technology, as well as having major experience in broadcast camera control systems, making him an indispensable asset to any Simon Prickett & Associates project. From time to time he can be seen running with Simon, when onsite schedules allow. He likes to grow a beard and he also loves his two French bulldogs. 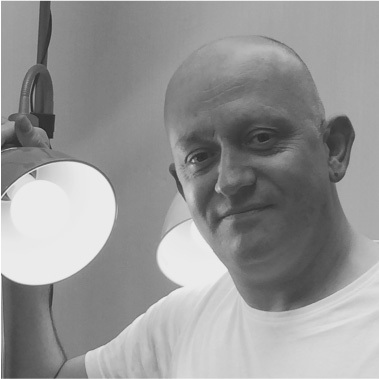 Paul trained in Technical Theatre studies at the Grange Arts Centre specializing in Lighting, Set and Sound Design. During this time he worked at both the Library Theatre and renowned Royal Exchange Theatre in Manchester, learning from some of the countries leading Designers. 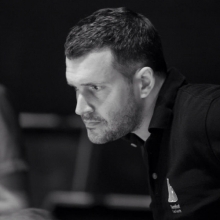 Paul was head hunted by P&O Cruises to help oversee the technical specification and installation of the theatre and show lounge facilities on board the companies Flagship at the time ‘Aurora’, also designing some of the ships productions during the contract. Over the last 15 years within the corporate sector Paul has worked for numerous bluechip clients designing for producers, agencies and direct for clients, anything from car launches for Peugeot and Mercedes to Product placement and large scale Gala Dinners, each time trying to bring a little theatricality to the table. Whether he’s designing West-end Shows such as Respect La Diva, for Music Artists like the Hoosiers or with-in the corporate sector on Conferences to Gala Dinners, Paul’s 25 years experience helps to bring that theatrical flare to Simon Prickett & Associates, starting with a lighting concept and seeing it through to the final delivery.